Fashion & Style at its Finest! I know it's been a while. The recession can hit even the savviest Bargainista Beauty hard. However, a true Bargainista Beauty is resilient to the core and you can't stop us from seeking a dose of retail therapy when needed. Because, I feel many of us have such great ideas to share; I would love to hear what works for you. What little jewels have you found along the way? I would like to hear how you have been fairing out through it all. What are your favorite Bargainista Beauty tips? I love to live and learn so don't be too shy to share. There are many reasons to go natural. If you didn't know before, one reason is the extensive damage that relaxers a.k.a Creamy Crack can do to our hair over time. 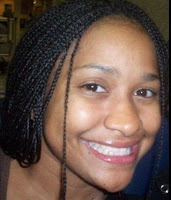 One of the main ingredients in relaxers is Sodium Hydroxide, which with repeated or prolonged use/skin contact causes drying, cracking, and inflammation of the skin (dermatitis). Sodium Hydroxide robs black hair of it's natural protein. The protein that is needed for healthy hair growth and natural moisture. Black hair produces less protein compared to Caucasians and Asians as it is. This often is why black hair stylist advise a once a week hair washing regimen versus daily one. Daily washing would rob black hair of naturally occurring and vital protein. Sodium Hydroxide literally depletes any remaining protein. This why we resort to protein based moisturizers and conditioners to gain that protein loss back. So, go ahead and consider going natural, be versatile. Protect your crown and glory while being beautiful and naturally you! 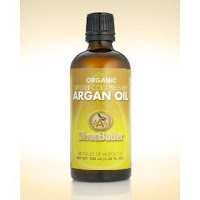 Bargainista Beauties have you heard of Argan oil? It is new addition to my beauty regimen. Argan oil is a Moroccan oil made from the nuts of the Argan tree. It grows almost exclusively in Morocco. This oil is said to have restorative as well as age-defying effects. 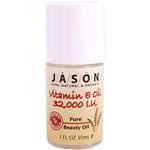 It is remarkably higher in vitamin E and essential fatty acids than most vitamin E based oils. Argan oil is believed to cure skin conditions such as dry skin, acne, eczema, psoriasis, wrinkles. It can be used on the hair and scalp as well. Argan oil contains phytosterols, which are excellent in healing scar tissue. I like Argan oil because it is lustrous and rich. It absorbs easily into the skin. I have seen improvement in my skin overall, visually and texture wise. The only drawback about Argan oil is that pure Argan oil isn’t economical like other vitamin E based oils. However, a little does go a long way and should last you for some time. I feel it’s a bargain compared to high-end moisturizers that we are not sure what the results will bring. Tip: Once I find out that an ingredient or product is good, I look for the pure concentration of it. I tend to stay away from store products that claim to have the ingredient in question included. Reason being, is that it often has a minimal amounts included. Basically it’s not enough to get the results that we are often seeking. I got my Argan oil at Whole Foods. I brought my 3.38 fl. oz. bottle of AAA Sh AAA Shea Butter’s organic virgin cold pressed Argan oil Shea Butter’s organic virgin cold pressed Argan oil for $24.99. Try it out Bargainista Beauties and come back and leave a comment telling what you think of this amazing oil. 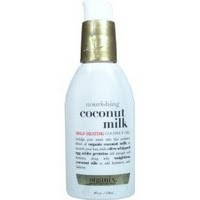 I use this mixture to condition my scalp. 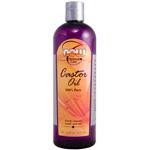 I also like using Haitian Castor oil (L’Huile Mascreti).I use this when ever I can get some from my Grand-mère Lily or when someone is coming in from Haiti. Many don’t like the smell but it has been used in Haiti for many years to grow hair and is also used as a healing massage oil as well. I don’t mind the smell it is nostalgic for me. I use either concoction whenever my scalp begins to get dry or is needed. Next, mix all ingredients in a bowl. Apply to hair and put a plastic conditioning cap over your hair for (30 min, 1 hr or overnight your choice) then wash and condition your hair as usual. On the last rinse use cold water to close the cuticles (another tip my Sis Monique gave me). Massage your scalp with the Scalp Moisturizing Regimen noted above. This will help with blood flow and good circulation which aids in hair growth and it really relaxes you at the same time. (Alt.) 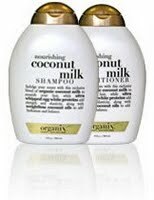 Sometimes while my hair is wet, I sometimes like to gently rub IC Hair Polisher (with Aloe) or Organix Nourishing Coconut Milk Oil. 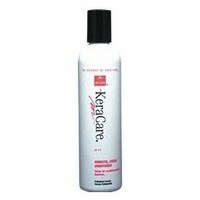 It smells great, leaves my ends soft and it has a self heating effect (added conditioning). Starting from the ends first then working towards the roots last. Avoid unnecessary heat like blow dryers simply air dry hair. Avoid products that contain petroleum/mineral oil as they clog pores. 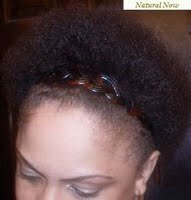 Use protective styling like: braids or a loose bun if your hair is long enough. Sleep with a Satin Bonnet to protect hair. I covered this in My "Verve of Reflections" blog previously. However, I felt the need to share it here with my Barginista Beauties that are possibly may be in need of a good hair care regimen. This hair care regimen mostly consist of natural products as well a salon products. 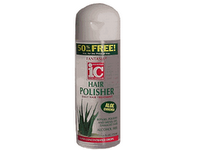 It can be used on both natural and chemically treated hair. Being a woman with a Caribbean heritage and just like any other woman of color, our hair is truly our crown and glory. It allows us to express who we our and put a spotlight on our natural beauty. 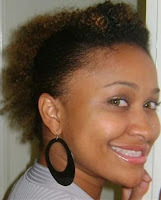 Since I often use my hair to creatively express myself why not share my hair transition journey on “Verve Reflections”. My first Beauticians were My Mom, my sister Monique (who both are wonderfully skilled and licensed) and me the Kitchen Beautician. I experimented with color, cuts and styles that I often picked up from watching them and style magazines. My final obsession was my addiction for hair extensions. I just simply liked the dramatic "Diva" effect it instantly gave me. It also appeared to be an easy solution for me, so I thought. In the end my hair paid the price. So to a semi weave rehab I went (will expla in later). My chemically treated hair was always dry yet coarse and soft at the same time thus, leaving it an extremely fragile type 4. My hair grows pretty fast, that was not the problem. 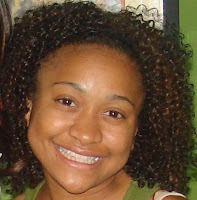 It was after perming, coloring and weaving my hair would break just as fast as the new growth would come in. So therefore, I would never be able to retain any real length for long. 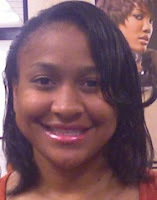 Here I am now in my 30's I decided to go natural, I did the big chop and chopped it all off February of this year. 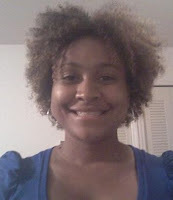 It's growing nicely; visually you can't tell much because with natural hair you tend to have a lot of curly shrinkage. I have a little bit more than a teeny weeny Afro. Moving forward, I am quite surprised by the condition of my scalp no more excessive dandruff. 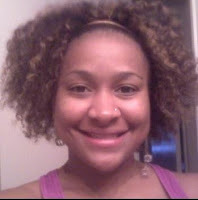 My hair that was always so dry no matter what product I tried now retains moisture. My hair that I thought was so coarse is starting to develop an interesting soft curl pattern (as long as I keep it moisturized). Maintaining natural hair can be a lot of work in the beginning for some. Basically until you figure out what works for you. 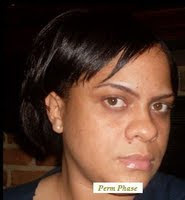 As time goes by it becomes really easier and less expensive than your once before chemically treated hair. Now, to explain my semi weave rehab, I still happily sport a nice curly hair ext or half wig now and then while I'm in my hair transitioning or transformation stage. Keeping yourself beautiful comes easy for some and requires a bit effort for others. Whatever may be the case, we all require proper maintenance to upkeep all the gorgeousness. We can project that flawless type beauty by following a proper diet, proper skin care and all around upkeep from head to toe. A beautiful truly woman knows how to take care of herself emotionally, internally and externally. First and foremost keep stress levels down. Stress can cause premature aging, weight gain (especially in waistline region) and other health issues. A true Diva knows not to sweat the small stuff and will not let anything or anyone rain on her parade or stop her party. Second, make sure you take multivitamins and try your best to eat the fresh fruit and vegetables daily. It really does wonders for your energy levels, your complexion, your mood and not to mention help with maintaining your health and figure. 100 % pure vitamin E (on my skin/hair as a moisturizer). 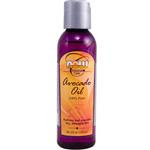 100 % Avocado Oil (on my skin/hair as a conditioner/moisturizer). 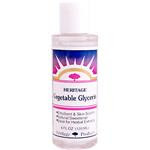 100 % Vegetable Glycerin (on my skin/hair as a moisturizer). 100 % Castor Oil (on my hair as a moisturizer). As a first time customer and a Bargainista Beauty reader you can save $5.00 0ff your first order by using code SOH063 when you order. This special does not expire. $5 savings off your first order. iherbs.com has top brand name products, huge selection, expedited shipping and easy re-ordering. I like iherbs.com because they always have great prices, free samples and the opportunity to earn money towards your next order by simply telling others about them. Janet, the baby sister of the Jackson family is taking control once again. She is back in the studio, recreating an old formula that seems to work for her by joining up with Terry Lewis and Jimmy Jam. She took part in a amazing tribute to her late brother Michael Jackson at the MTV awards tonight. She looked very much like the Janet we all know and love. In the September issue of Bazaar Magazine Janet brings old Hollywood and Glam back in this photo shoot. I'm just loving the style and grace! An ideal stop for those who are seeking extraordinary finds that are cheap yet chic!On the budget beauty tips and style for the meticulous and miserly Bargainista. I solely exist to express the inner me. Life without self expression would be mundane, ordinary & absolutely bore thee. I live for Fashion & complete coordination. I’m a true “Fashionista” in every aspect of my life. Various hues of a color palette makes nothing but absolute sense to me. I have a feverish passion for various forms of art. Spicy fare and rich cultures lure me. Music heightens my intellect while dance enriches my soul. Always moving to the beat of a drum only I can hear. While being the “Soleil Brillant” to those that are near. Copyright 2009 Bargainista Beauty. All rights reserved.